Central Tennessee is a fascinating and historic area, home to Andrew Jackson and James K. Polk, and a major battleground during the Civil War. 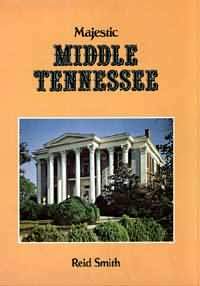 Majestic Middle Tennessee looks at 95 glorious antebellum homes in the central Tennessee region. Hundreds of photographs and fascinating text describing the history of each home.